A popular pick among Roslyn drivers who want lots of features, generous interior portions, and plenty of power under the hood, the new Acura RLX is that elusive midsize sedan you’ve been looking for! Its standard 3.5L V6 engine is good for 310 hp, and the base Technology Package trim includes spacious accommodations for rear seat passengers and standard features like leather upholstery, heated front seats, tri-zone climate control, and a full suite of high-tech infotainment features. See why Autotrader calls it “a rolling showcase for the company’s best electronic, performance and safety technology” by taking it for a spin at Rallye Acura in Roslyn. 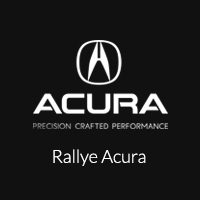 Rallye Acura is your #1 resource for high-quality luxury sport vehicles. We’re a committed community institutions that’s happy to give back, and we’re dedicated to bringing first-rate products and services to our clients year in and year out. Come see us today at our dealership in Roslyn to test drive the new Acura RLX and find out the best financing plan for your budget. Worried about icy road conditions? Be sure to get a model with Acura P-AWS. If you have questions, you can always give us a call, too!